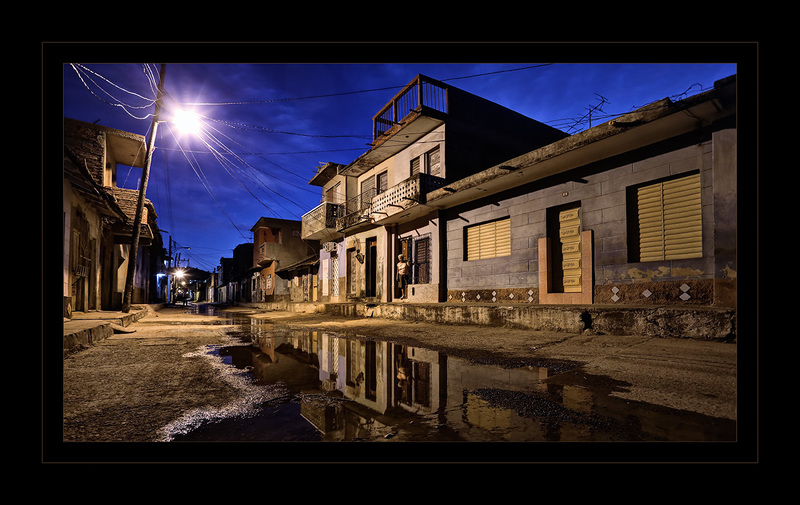 In the pre-dawn quiet of the streets of Trinidad one can hear the bread men making their rounds. Some whistle and some call out in a melodious lilt, but they all have a distinctive sound. The woman in the doorway has heard the call and is ready to make her purchase. I like the mixed lighting in this image and the reflection in the puddle adds interest to the foreground.